ATAC (Advanced Tactical Air Command) puts you in the position of group leader of a mixed squadron of F-22's and AH-64's deployed to Colombia by the United States. It required you to plan and fly the missions, thus adding a tactical depth rarely seen in flight sims to that time. This collection contained: A10 Tank Killer | A-10 Tank Killer 2: Silent Thunder | Aces of the Deep | Aces of the Pacific | Aces Over Europe | Red Baron. 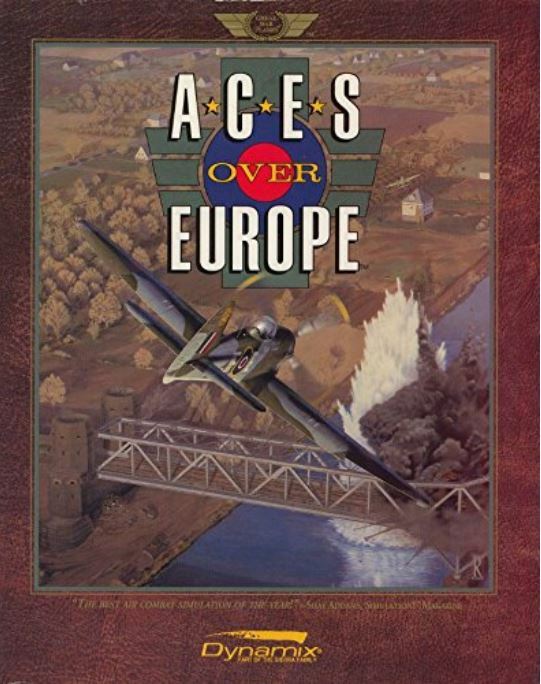 Part of the most complex and popular World War II sim series of the early 1990s. 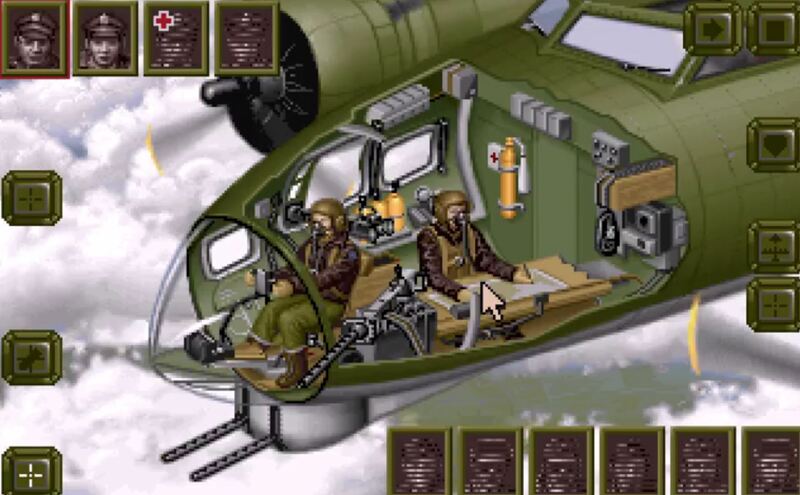 The most complex and popular World War II sim of 1992. 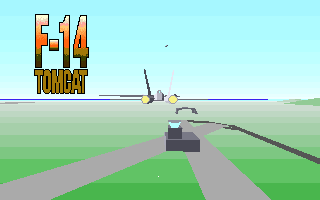 Advanced Tactical Fighters was the sequel to Marine Fighters, and third in the series. It introduced stealth and vectored thrust aircraft. I remember the first time I booted it up on my 486 DX-66. I leapt into the Grumman X-31 and headed for the clouds. For a while I was convinced there was something wrong with the program because this aircraft just seemed too fast! MiGMan thanks Cajun Hawk for his ATF pictures which helped to kick off this museum back in 1998, when it was only about 6 pages in total ! year: 1997 organisation: Paradigm organisation: Video System Co. Ltd.
AeroFighters Assault was developed by Paradigm Entertainment and published by Video System Co. Ltd. for the Nintendo in 1997. It was released in Japan as Sonic Wings Assault. 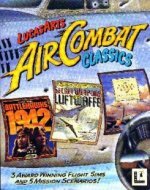 Air Combat Classics is a collection of Classic Sims from LucasArts released in 1993. 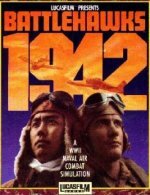 It contained: Battlehawks 1942 | Secret Weapons of the Luftwaffe | Their Finest Hour (Battle of Britain). 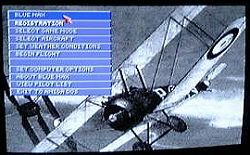 Air Warrior was introduced to the gaming public as a free - public domain - piece of software which could be downloaded and played in practice mode at home. You then logged on to a dedicated server in your city via modem and played in a virtual war. 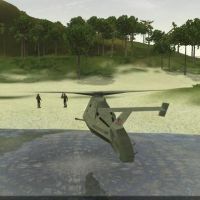 Lars Gramkow Nielsen reported : " From what I've been able to make out, it was supposed to be released after Falcon 3.0, as the second of the Electronic Battlefield Series sims - of which Falcon 3.0 was the first. " A classic DOS sim, and complex for it's time! year: 1988 organisation: Strategic Simulations Inc.
year: 1996 organisation: Military Simulations Inc. organisation: Military Simulations Inc.
Back to Baghdad was an F-16 simulation set in the Gulf War (1991) . 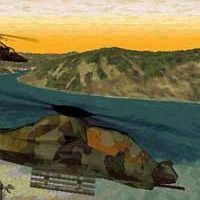 It was a DOS sim with claims to high fidelity of flight model and weapons systems modelling and was priced about 30% higher than other PC sims at the time. The publishers Military Simulations Inc. went on to specialise in military sims and released no more products for the home market. It was unique in that it supported a second monitor for the radar display - and this while running in DOS ! It features an enhanced graphics engine based on the classic Battle of Britain by Rowan (2000). Dynamic campaign add-on for IL-2 Forgotten Battles. Flight Instruction, Formation flying, Aerobatics, Pylon racing, this sim had it all! Despite the clunky looking graphics by today's standards, Chuck Yeager's Advanced Flight Trainer was an ambitious attempt to teach the basics of flight on a personal computer. 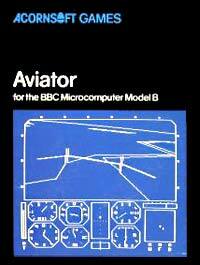 Edward Lerner developed and programmed it to showcase 14 different flyable aircraft. This exhibit contains AUDIO content. Chuck Yeager's Air Combat was for many people their first exposure to PC flight simulation of any kind and the beginning of a life-long hobby. 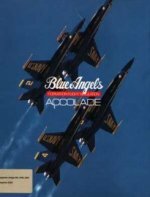 "This was a late addition to the long line of flight sims for the Amiga, and it was also one of the best. 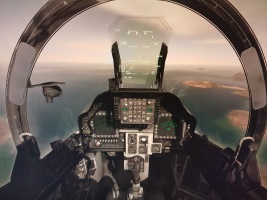 The whole sim was based on the 1991 Gulf War ( Desert Storm ) and you could take to the skies in either the mighty Grumman F-14A Tomcat or the McDonnell Douglas F/A-18C Hornet. " 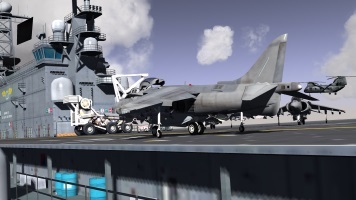 A 2016 simulation of the AV-8B Harrier. 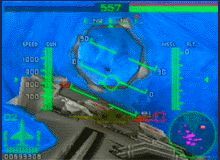 This sim could pick up where SVGA Harrier Assault (1992) left off in 1992, with a flyable AV-8B Harrier and a dynamic campaign! 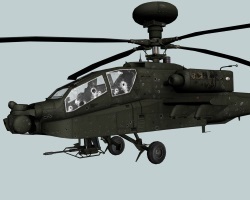 Allowed you to fly the Westland Lynx in a ground Attack role. This collection was published by Microprose in 1997. It contains four of the best ever DOS flight sims: 1942: Pacific Air War, Falcon 3.0, Fleet Defender, Gunship 2000. Set in a parallel universe in 1937, the game sets up a world where the USA is divided into small nations and Air Power rules the day. Jordan Weisner has combined elements of the swashbuckling 1930's pulp fiction hero with, in his words "Air Combat with everything taken out except the fun!". World War I air combat sim optimised for online play. What started as one of the first wire frame sims of the 1980s has become an space exploration sim featuring real physics and an almost inconceivably large physical domain to explore. 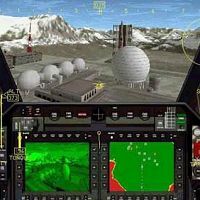 In 2001 Digital Image Design (DID) released Eurofighter Typhoon, an accessible and immersive simulation of tactical jet combat. 15 new missions and enhanced weather effects enhance the sim - but the real value lies in the inclusion of the original Eurofighter Typhoon and the excellent strategy guide in the package. With this flight sim classic Microprose continued their tradition of creating sims which you could live in for months or even years, never getting bored. 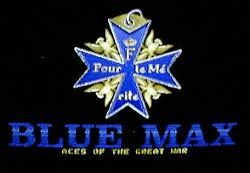 European Air War recreated the epic west European air battles which helped change the course of World History 1939 - 1945. Every aspect of this sim was superb, from the graphics and sounds to the atmospheric interfaces. 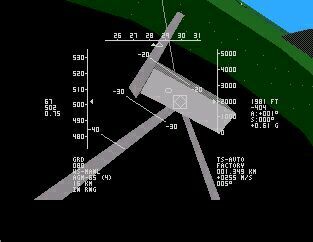 F-117A runs very well on a 386 and is a "thinking person's sim" emphasising tactical thinking over reflexes. 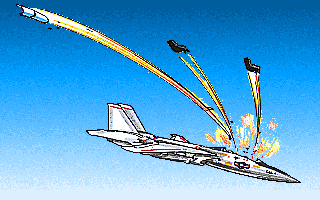 The sim was a major enhancement and re-release of F-19 (1988) by Sid Meier. 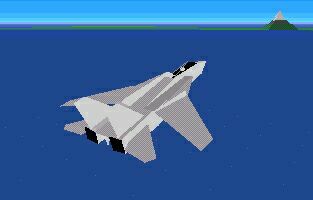 F-15 by Janes had to be the strike fighter sim of the Millenium! Although it does have a formidable Air to Air capability in terms of Radar and ordnance, the F-15E is about half way down the ladder in manoeuverability... not a dogfight machine! But for fans of the Strike Aircraft community... F-111, A-6 Intruder, Tornado... 1998 was hog heaven! "F-22 Total Air War 2.0 (TAW 2.0) is a total conversion of Total Air War, which also includes the campaigns from F-22 Air Dominance Fighter (ADF) and the Red Sea Operations (RSO) expansion disc. 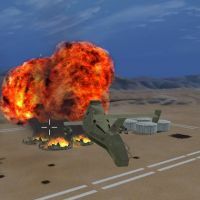 TAW 2.0 is the follow-on to Total Air War 2008. The goal of TAW 2.0 is to provide a simulation experience that equals or surpasses your fond memories with the original ADF and TAW. TAW 2.0 is self contained. 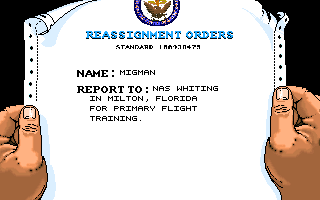 You do not require the original F-22 ADF or F-22 TAW to play." This sim demanded your full attention. It detected you were not giving full attention... and then turned around and bit you hard! The computers did their best to fly the plane where you pointed it, but couldn't rescue you from gross errors of judgement like my full loops at low altitude! From a hard-core point of view I like this... it forced you to correct sloppy habits and get into the checklist mentality.. getting into a "landing state of mind" when landing... not dwelling on the fantastic dogfight you just had / didn't have. This indeed is the essence of creating an immersive sim! 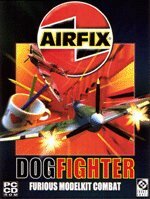 Fighters Anthology combined 5 previous titles into one package which ran under Windows 95 and 98, and gave you over 100 different aircraft types to fly! It was the culmination of an ambitious series which bought hours of fun to flight sim fans the world over. Anti aircraft emplacement at Espiritu Santo. Well everything on this atoll may have been a target - but as a corollary of that, everything on this atoll was regarding me as a target! Some kind of ship was throwing up tracers but the action was so furious I couldn't make out what it was. I paused the sim and panned around I could see it was in fact... a submarine! TFX is an acronym for "Tactical Fighter Experimental". When you look at the graphics available in the other early combat flight sims it is easy to see why TFX caused so much excitement on it's release. The flight model could be adjusted from "arcade" to "military" and play modes ranged from arcade levels to the "UN Commander" mode. As UN Commander you planned missions, selected the aircraft and flew the Eurofighter, F22 or F117 Stealth Fighter. Total Air War (TAW) is an aptly-named product. 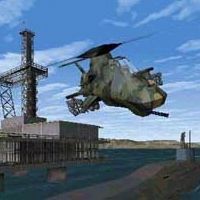 More than a combat flight simulator, it offers a strategic component based on modern air warfare theories first applied in the 1991 Gulf War. Total Air War sported a spiral bound manual which included more than one hundred pages of detailed information on both allies and adversaries weapons platforms and systems. 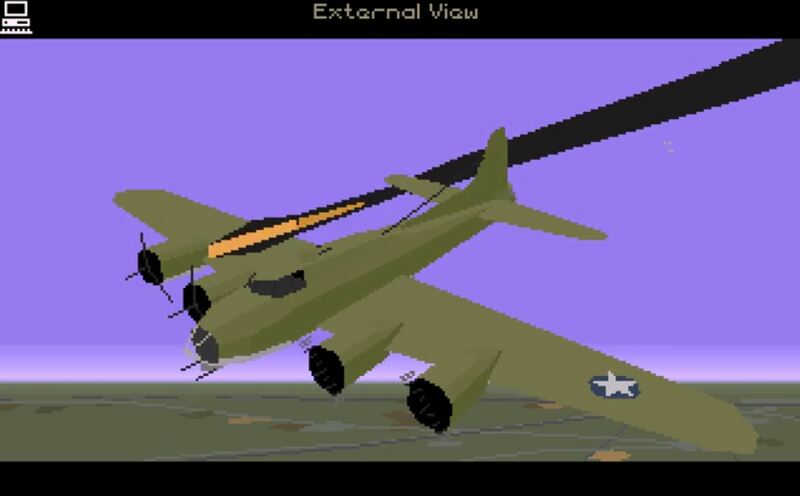 This sim was the successor to the wildly popular Chuck Yeager's Air Combat and started a series that ran to the end of the 1990's. Get an overview of the series in the Fighters Anthology (1998) exhibit. 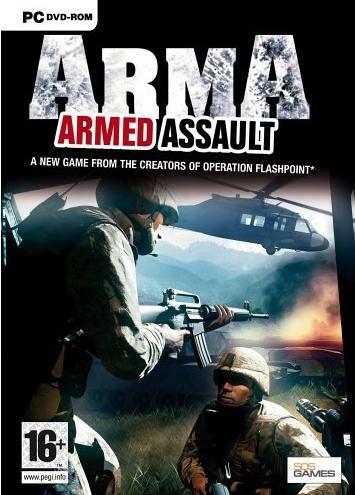 The combat-focussed gameplay was enhanced by the atmospheric and user friendly interface. The ability to tweak most aspects of the sim from the graphics to mission waypoints and loadouts made you feel in control without overwhelming you with detail. It still remains a model of good interface design. The first mission of the Ukraine campaign remains for many fans a reminder of just how atmospheric a sim can be. 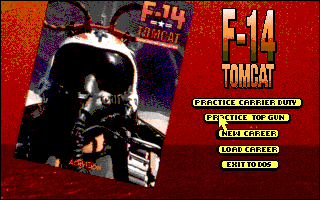 Check out the videos, showing the entire first mission from briefings, through mission planning, arming, carrier takeoff in the F-14, intercept and carrier landing. Check the pub date pls.